This was our final week of garden and nature activities and I chose to look at spiders, T is such a little copycat at the moment, his cousin J (nearly 4) is really into Spider-man and so T now has a similar fascination! J spend the weekend with us last weekend and so I thought we'd do some spider based fun, starting with a spider sandwich lunch. 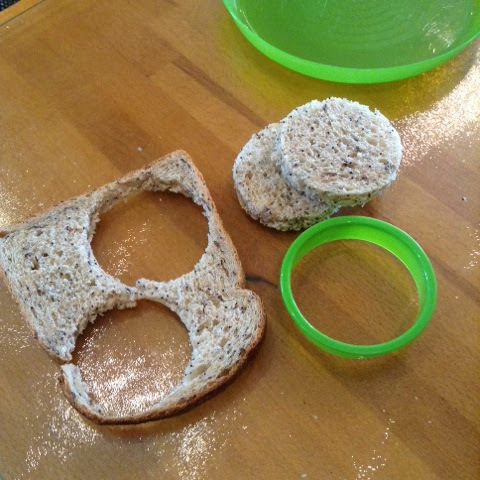 For this lunch I wanted to make a round sandwich, I rarely give T sandwiches without crusts because I don't like to encourage him not to eat them, but I wanted round and so I started out with 2 slices of bread and was going to make a sandwich, then cut the shape from the middle. 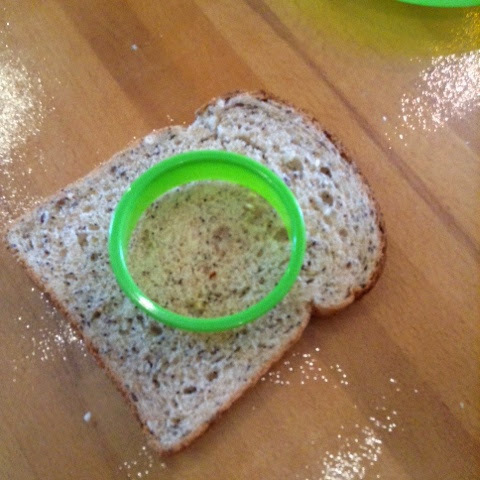 It then occurred to me to just cut 2 circles from one slice of bread and one from chicken and then assemble. 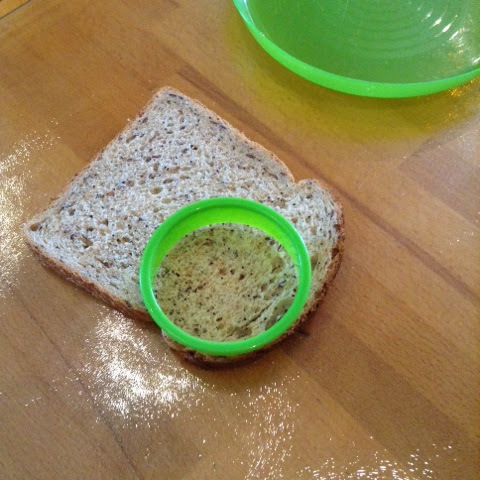 Just look how much bread I saved - well saved from being fed to the chickens anyway! I also wanted to show how easy it is to create a themed lunch without having specialist bento accessories (although they are soooo much fun!!). For the sandwich I drew a spider with an edible food pen, and just added a small plastic spider from halloween! Just a note - I've had this pen open for 18 months and it was just as good as the day I opened it. I need to get these pens! This looks great, even if the spider on the peppers made me want to run shrieking! ;-P Love the spider sandwich particularly!